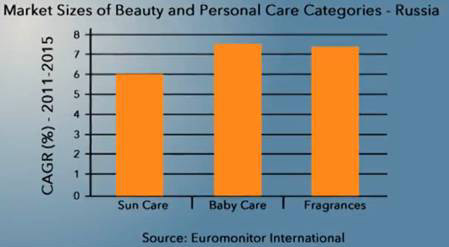 Non-store beauty sales outperformed any other retail channel on the back of strong direct sales and rapid internet growth. Internet retailing alone grew by 16% in 2010 adding a further US$ 2billion to total industry value. 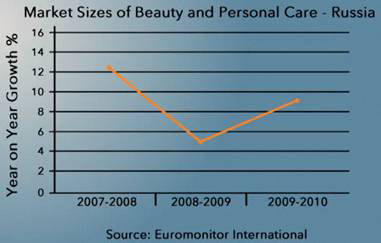 The Russian market has mainly recovered the impact of the Crisis in 2010 and will fully recover in 2011. 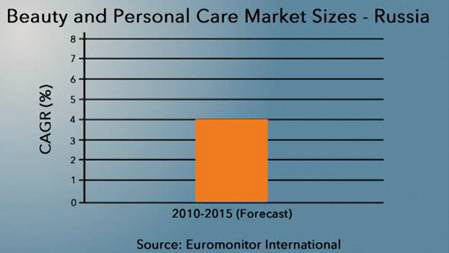 The Russian Beauty and Personal Care market is far to be saturated and is expected to increase a 4% value annual growth rate in the upcoming 5 years. 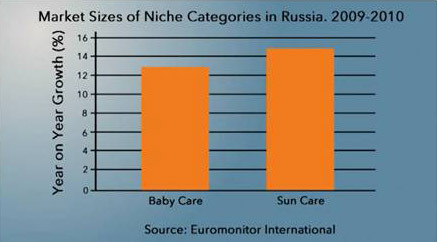 The Baby Care and the Sun Care categories are the two niches which increased the most in 2010.